What will Casino Cheating be like in Japan when Casinos Open up...Will it follow its Asian Counterparts? We all know there are currently four major casino gaming areas in Asia: Macau, Singapore, Cambodia and the Philippines...and we all know that each of the four are MEGA-Casino-Cheating areas. There is no doubt that casino-cheating scams in Macau and Singapore are the highest "per capita per casino employee/customer" in the world, and there is even more no doubt that they are the highest when speaking about casino scams engineered by dealers and other floor employees. So what can we expect when Japan opens its casino doors? More of the same? Well, I am already reading articles about the impending Yakuza infiltration of Japan's coming casinos, but that mob invasion is not directly, at least to my knowledge, connected to actual casino-cheating operations, unlike the Chinese Triads that do actually pilot casino-cheat gangs running rampant in Macau. The Japanese Yakuza gangs will most likely be limited to non-gaming casino criminal activities such as loan-sharking, money-laundering and prostitution. Apart from that, I don't see Japanese professional casino cheats sprouting up all over the Japanese archipelago. My opinion is based on the difference between Japanese culture and other Asian cultures, especially when it comes to gambling. As it can be said that Chinese, and to some extent Koreans, have gambling in their blood, it cannot be said this is true about Japanese. There is too much honor in Japanese culture to allow gambling, any form of gambling, to sit on such a high perch of cultural importance. Therefore, when there is less general gambling within a population, there is, generally speaking, less people cheating at gambling. So we will not see the tremendous volume of cheating in Japanese casinos that we do in Singapore and Macau, and certainly much less when it comes to Japanese casino employees getting involved in cheating their own casinos. The Japanese Honor Code forbids it. But don't forget that Japan, like all other major casino gambling areas, will get its fair amount of international professional casino-cheat teams flocking to the tables when they are open for business. We first saw it in the movies. Remember the scene in Martin Scorsese's "Casino" where the two blackjack hole-carders get dragged into the back room and one of them gets his hand crushed with a hammer? Then came the famous Las Vegas wrongful-imprisonment lawsuit filed by renowned card-counter James Grosjean against the Imperial Palace, Caesars Palace and Griffin Investigation, where Grosjean was awarded $400,000 by a Las Vegas district judge after being roughed up and sent off to the Las Vegas city jail. Well, apparently not all casinos have learned the lesson about not roughing-up and illegally detaining card-counters and advantage players, who by plying their crafts in casinos are not breaking the law. This new card-counting/alleged false imprisonment scenario is playing out at Harrah's New Orleans casino. In this case, Justin Grant and Jordan Kerr, two self-proclaimed professional card counters, say they were assaulted, handcuffed, illegally detained and threatened with long prison sentences over the card-counting accusations, all of which their complaint says caused them grievous emotional distress and embarrassment. They have filed a federal lawsuit against several employees of the casino and the Orleans Parish Sheriffs Office, whose officers put the handcuffs on the two accused gamblers. 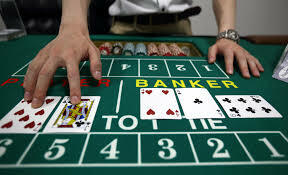 The complaint also says that Grant and Kerr repeatedly notified the casino authorities that card-counting and advantage-play (any form of legal play-strategy that gives the player a statistical advantage over the casino) are not illegal, which they argue shows that the authorities knew indeed they could not charge either with any crime yet they still told them it was criminal because it was against the casino's policy, perhaps a ruse to get them to somehow cop out to a crime. My take: This is a very stupid action taken by (a) the casino, whose employees should have known better, and (b) the Orleans Parish Sheriffs Office, who officers obviously didn't.